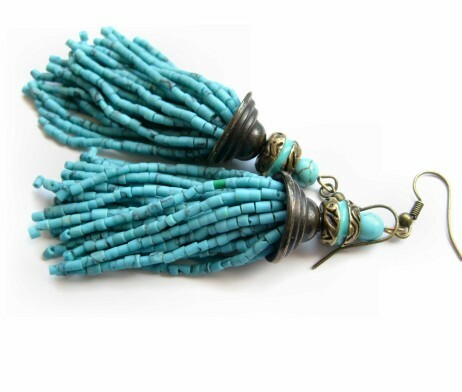 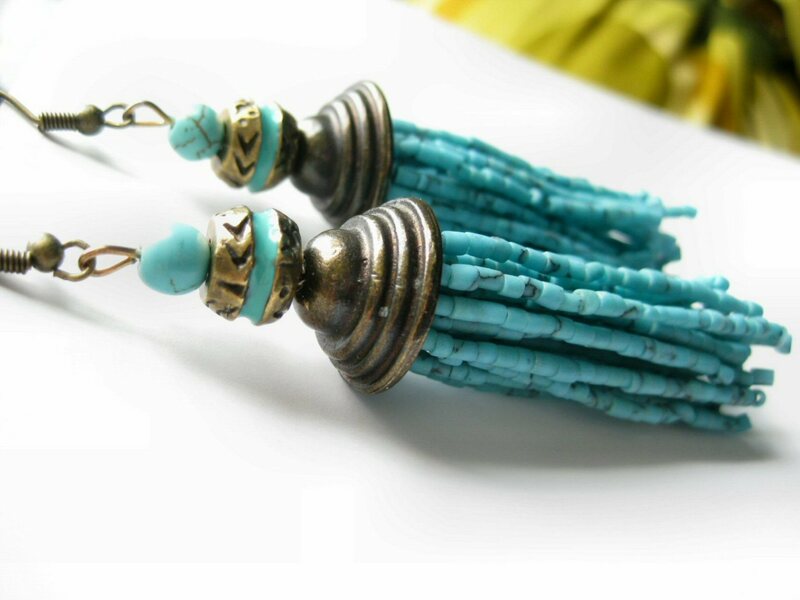 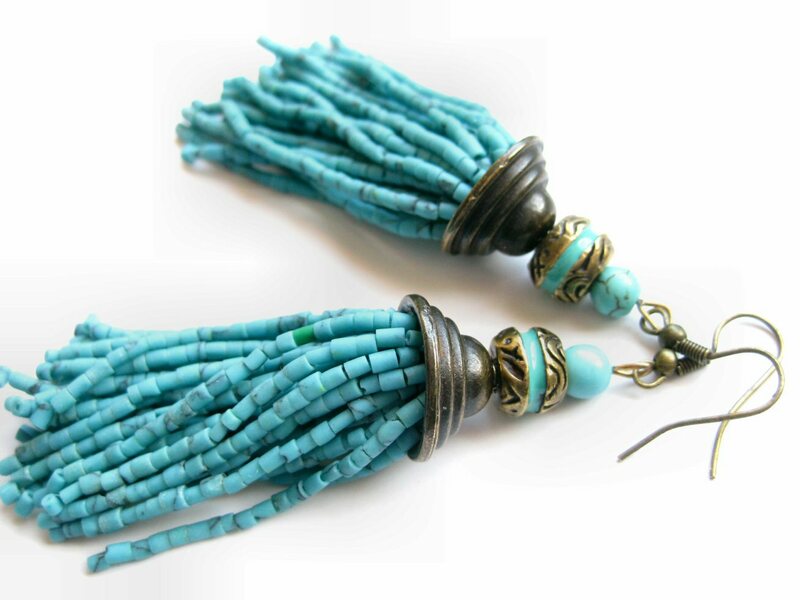 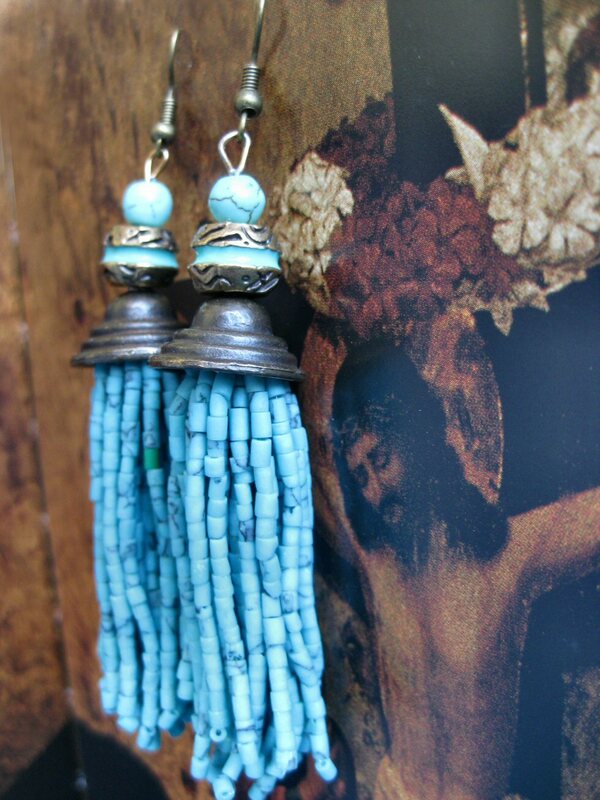 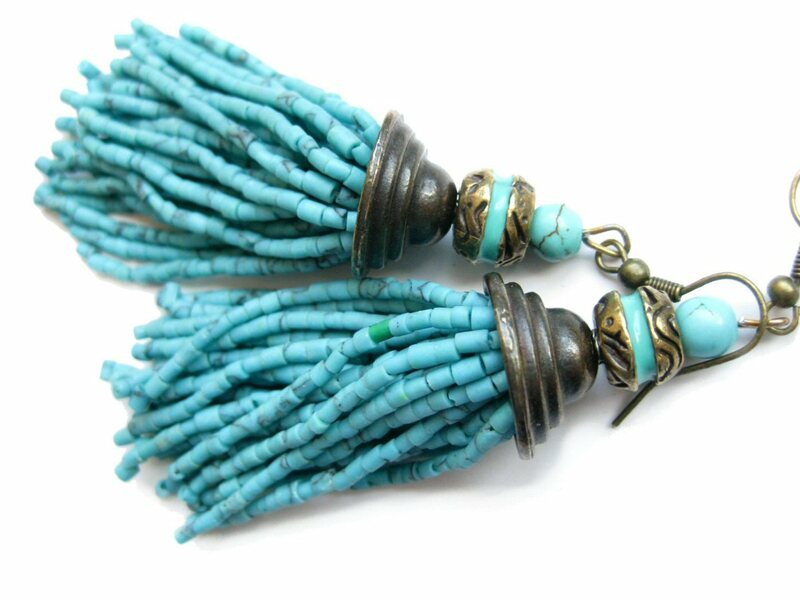 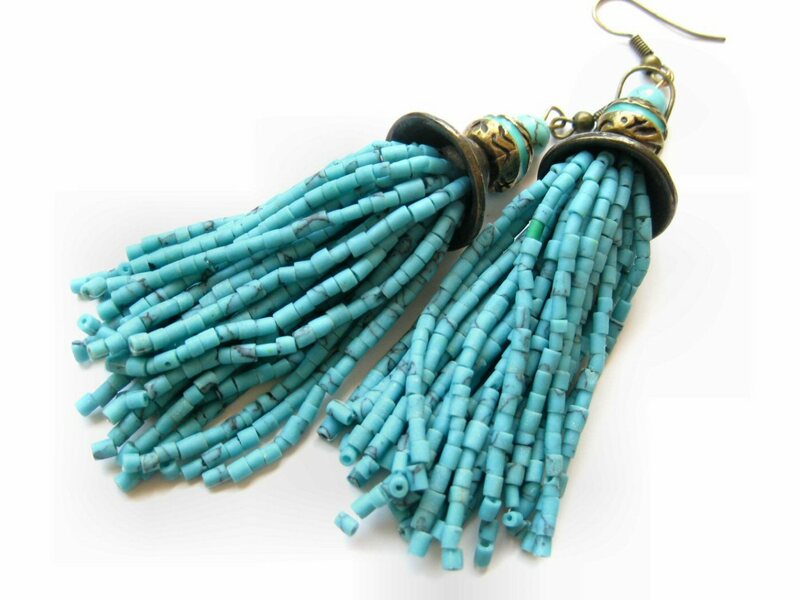 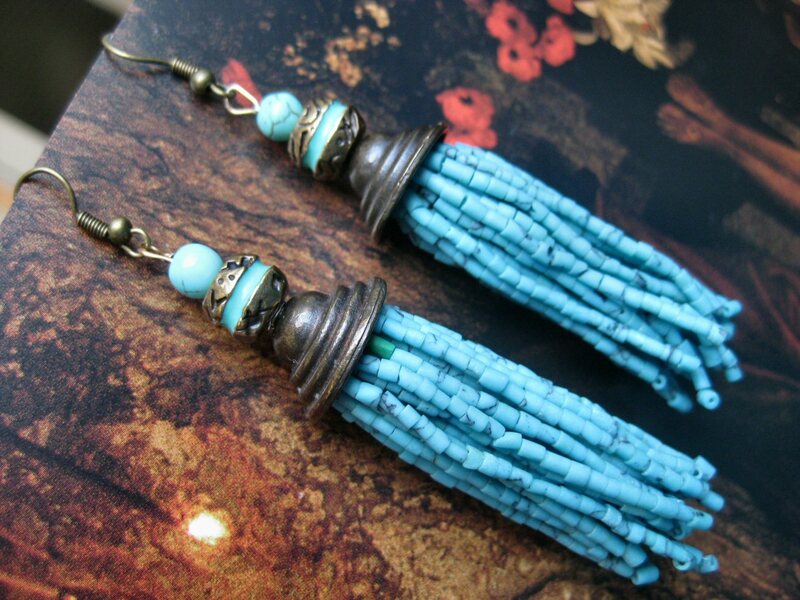 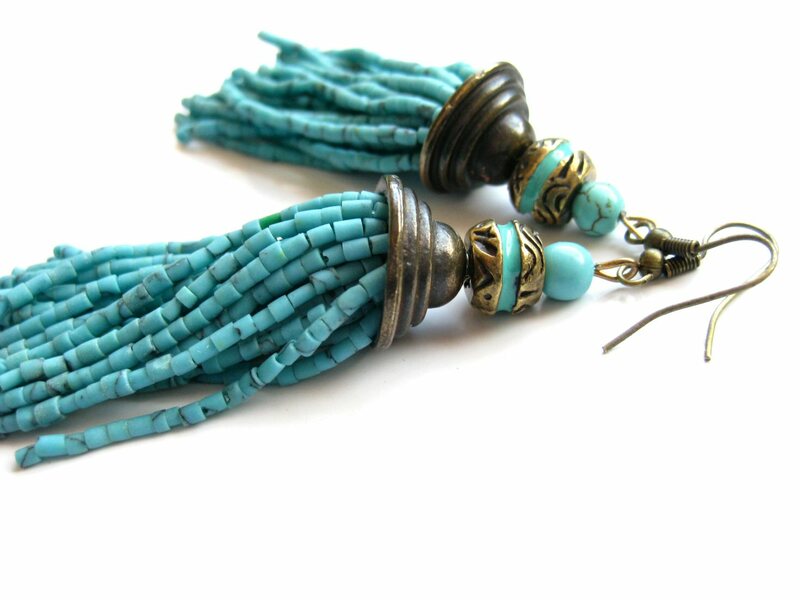 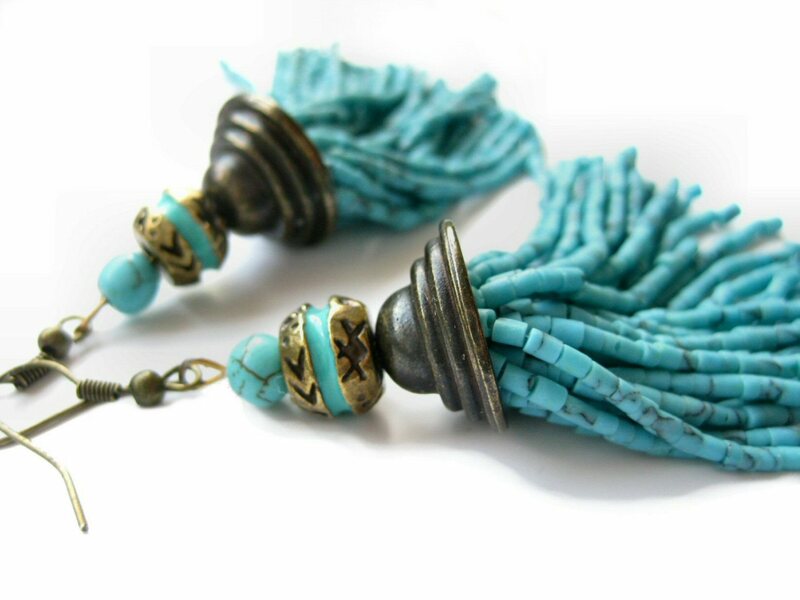 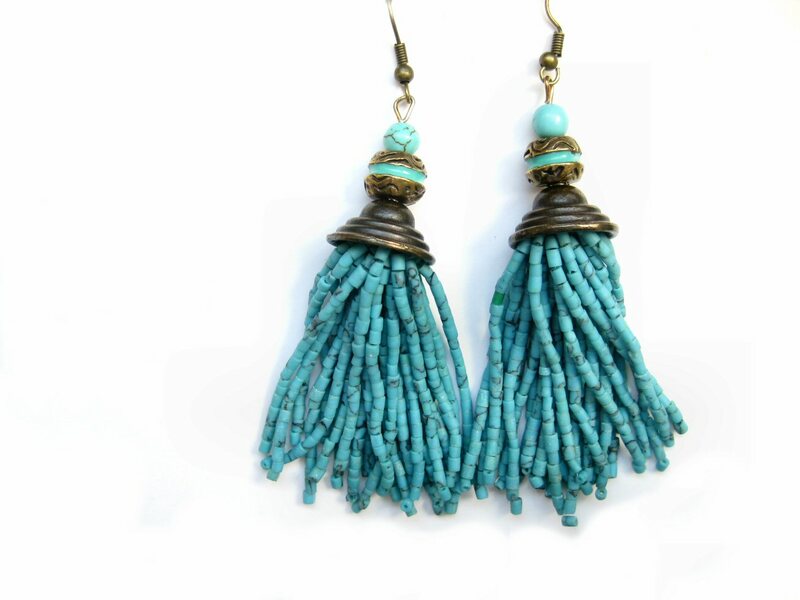 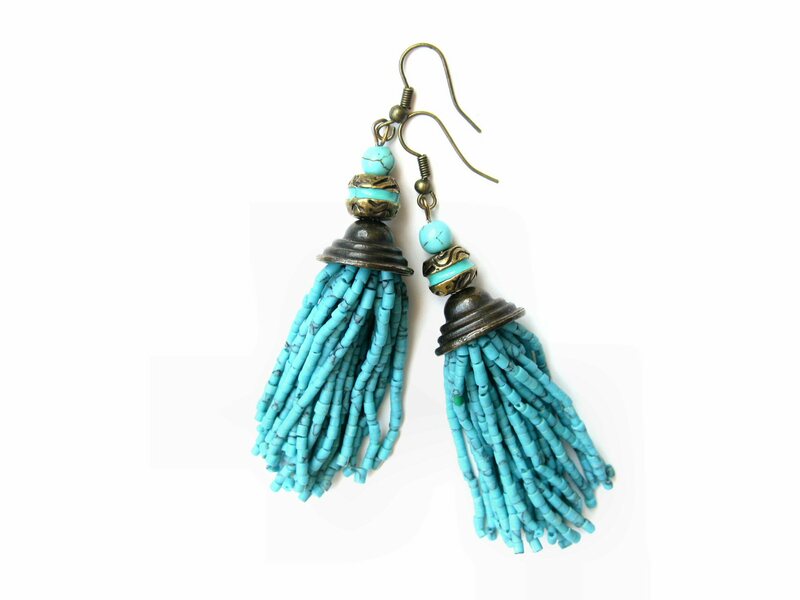 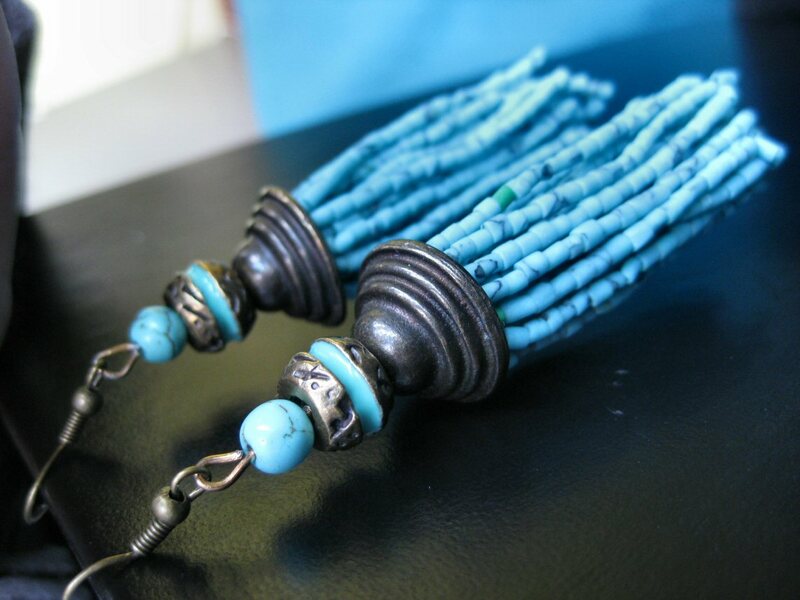 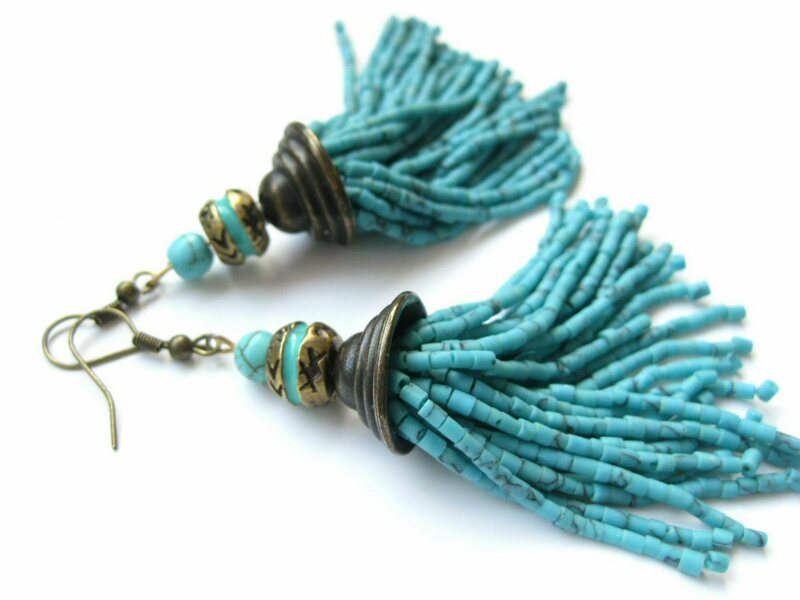 Handmade earrings featuring copper metal elements, antiallergic clasp in “old gold” color and a tassel pendant made from the finest natural turquoise heishi beads (2mm-3mm). 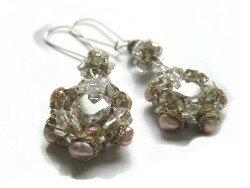 These swingy earrings are elegant and full of whimsy. 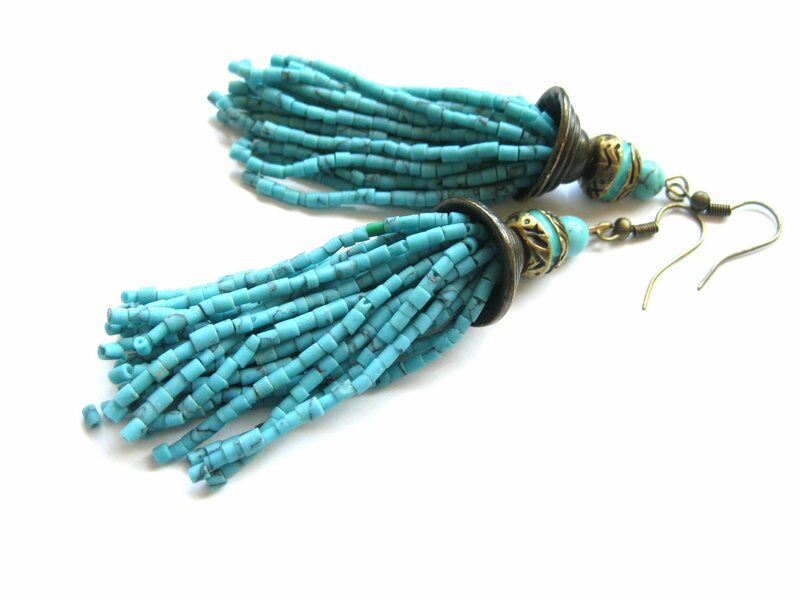 Hair up and off your shoulders and necks for these earrings. 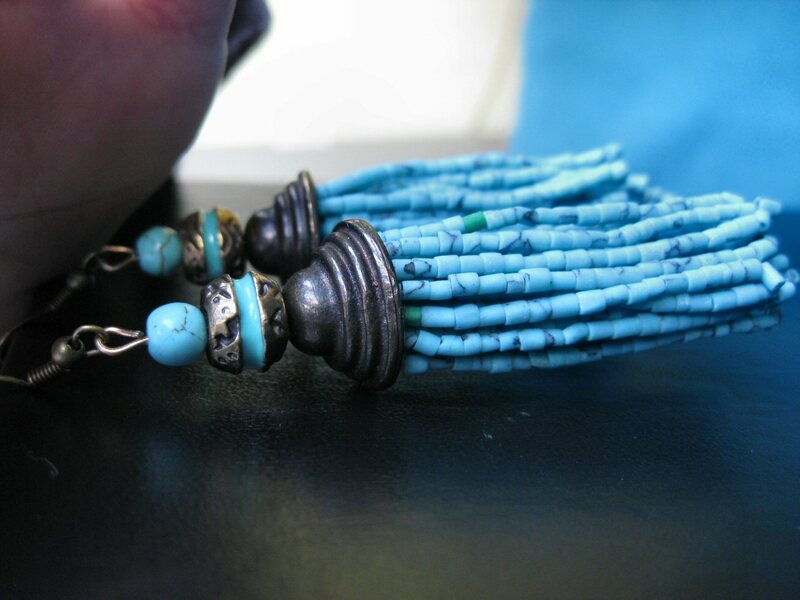 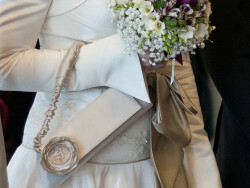 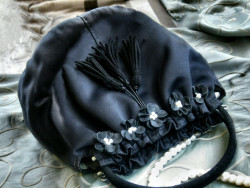 You want to show them off as well as let their lines lengthen your neck. These turquoise heishi beads are AA grade natural turquoise stones, with a beautiful color, they are not treated, stabilized, or reconstituted.